Explore our collection of the newest Johnny Was women's accessories. 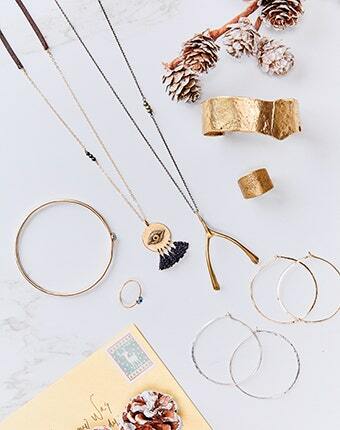 Our chic fashion accessories are the perfect finishing touch to your boho look. Spice up your wardrobe with our boho leather handbags, bohemian jewelry, and one of a kind accessories. Plus, layer on one of our women's scarves and you've got an all-over bohemian look. In our signature aesthetic, each piece is meticulously crafted with gem, leather or embroidered details for a truly unique look.